Water market on a river at Ayutthaya. 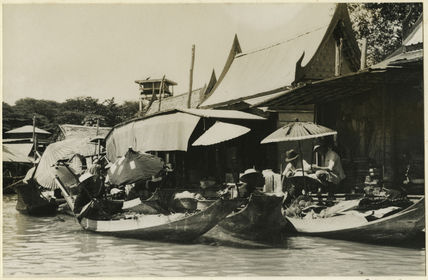 The river is lined with shops and dotted with market boats. Shopping is done by boat.